①Grill and flake the salmon. ②Boil the spaghetti with plenty of hot water and salt. ③Fry the onion and add tomato sauce. 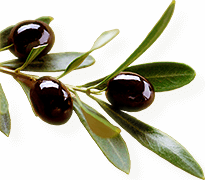 ④Mix with a bay leaf, salmon and olives. ⑤Drain the spaghetti and put it in a bowl, drizzle some olive oil on it. ⑥Season with oregano, salt and pepper in the sauce. Use parmesan, if you like.